By sponsoring Real Python you will reach over 1.2 million Python developers per month who are dedicated to improving their craft and their professional careers. 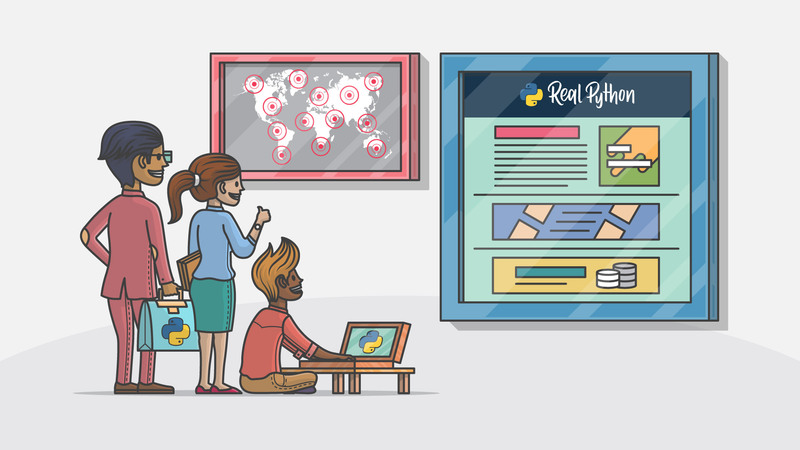 The Real Python Newsletter: Our weekly email newsletter reaches the most loyal and engaged members of our audience of Python developers and data scientists. PyCoder’s Weekly: PyCoder’s Weekly is one of the oldest and most established Python newsletters. As leading publication since 2012 it keeps the global Python community informed about the latest news, articles, and events. We host three properties specifically catering to Python developers with a combined monthly reach of 1.2M users and 2.3M pageviews. We have monthly display ad packages available for clients. pythonjobshq.com: The premier Python job board for skilled developers. Display ads are served via an in-house ethical ads platform that is not affected by ad blockers and EU GDPR compliant, further increasing the reach of your campaigns. Hire a world-class Python developer from our audience with a job post at pythonjobshq.com. Featured job posts are shared on our email newsletter and social media accounts to ensure your Python job ad will reach a wide audience of capable software engineers. Social media posts are a great way to reach Python developers in real time strengthening your brand and online presence. We have one of the most active and highly-engaged social media audiences in the Python development space.